INTRODUCTION: In the field of medicine/Pharmacy, the syntheses of novel, potent selective antimicrobial drugs with least cell/tissue toxicity and adverse effects, 1-4 is of current interest . This stem from the fact that pathogenic microorganisms developed resistance to current antimicrobials 1, 2. Pathogens also undergo genetic mutations which change proteins and other components of cells. In addition, pathogens produce enzymes that destroy or inactivate antimicrobials and alter the permeability of their cell membrane, making it difficult for antimicrobials to enter 2-4. Antimicrobials act on pathogenic microorganisms via the inhibition of cell wall formation, leading to cell wall lysis. In addition, they damage the bacterial cell membrane, resulting in a loss of cell contents and death. At the molecular level, they inhibit nuclei acid and protein production and therefore arrest bacteria growth. On aspect of drug discovery focuses on the modification of the structure of existing drug, resulting in a change in potency and selectivity with little side effects/ low toxicity. Many synthetic antimicrobials reported to date are neutral organic molecules such as Penicillins, Vancomycin, Polymyxins etc. 2-4. Plant extracts and isolated pure natural products, have also been used as initial antimicrobial agents 5-10, 37-39. In addition, metal complexes have shown to possess biological activity 11-21 and there are several drugs that are metal complexes in nature 12-13. As part of our research program objectives, to find potent and selective antimicrobials of synthetic type that can be used locally and internationally, we report here the antimicrobial activity of 2, 2-Bipyridine dichloroplatinum (II), C10H8Cl2N2Pt (2) against pathogenic microorganisms, Candida albicans, S. aureus and E. coli. Neutral mixed-ligand complexes of 2, 2′-bipyridinedichloroplatinum(II) with dianionic aromatic chelating ligands as potential photosensitizers have been reported 20. The synthesis and spectroscopic studies of potential antiviral [Pt(2,2′-bipyridyl)(amino acid)] Cl complexes have also been reported 21. However, the antimicrobial activities of 2, 2-Bipyridinedichloro platinum (II), C10H8Cl2N2Pt (2) against pathogenic microorganisms has not been reported to date. We have previously reported neutral molecules as antimicrobial agents 22-27, 28. 2, 2’- bipyridine (bipy), an organic bidentate chelating ligand with general formula C10H8N2, forms complexes with many transition metals such as ruthenium and platinum. 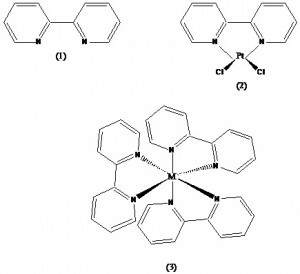 Some complexes of 2, 2’ bipyridine include Mo(CO)4(bipy), RuCl2(bipy)2, Fe(bipy)3)2+. 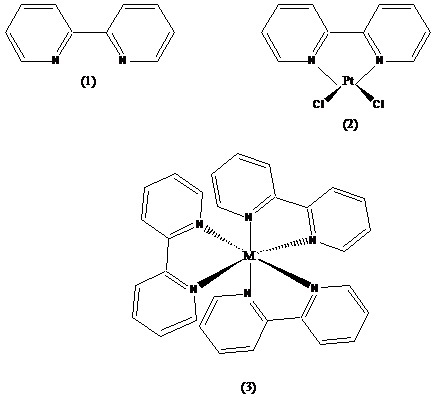 In tris (bipy) complexes, [M(bipy)3]n+ (M = metal ion: Cr, Fe, Co, Ru, Rh, three bipyridine molecules coordinate to a metal ion (3). These complexes are six coordinate and are octahedrally shaped. Platinum is a silvery white malleable ductile transition metal and the third element of group 10. It is found in certain copper and nickel ores from which it is recovered during refining. It is resistant to oxidation and is not attacked by acids, except aqua regia or alkalis. It is used as a catalyst for ammonia oxidation and in catalytic converters and as thermocouples 31-32.
coli can cause several intestinal and extra intestinal infections such as urinary tract infections, meningitis, peritonitis, mastitis, septicemia and gram-negative pneumonia33-34. It also causes gastroenteritis and haemorrhagic colitis. E. coli can affect all age groups and causes more than 20,000 infections and as many 250 deaths each year in the USA alone 33-34. Staphylococcus aureus, the yellow type induce furuncles (boils), carbuncles (a collection of furuncles) 35. In infants, Staphylococcus aureus can cause a severe disease Staphylococcal scalded skin syndrome (SSSS). Staphylococcal endocarditis (infection of the heart valves) and pneumonia may be fatal. Staphylococcus aureus can cause food poisoning. Candida albicans, a diploid fungus (a form of yeast) and is a casual agent of opportunistic oral and genital infections in humans 36. It is responsible for the infectious disease, candidiasis, thrush etc. PROCEDURE: Compound (2), commercially available was made up to a concentration of 0.1 mg/L in C2H5OH and its antimicrobial activity was investigated using the Well Diffusion and Poison Plate assay under asceptic conditions 29-30. These are described in previously published paper, 5-11, 15, 22-27, 37-39 and don’t need further description here. DISCUSSION: Antimicrobial activity of compound (2) was investigated using the Well diffusion and Poison Plate microbial assays, 29-30. The zone of inhibition (mm) is quoted at the ED50 value and as the area of inhibition (mm2), Table 1, 2 and 3. Also, the Standard Deviation (SD) of the mean is expressed in Table 4. Each test was performed in triplicates and expressed as the mean. The zone of inhibition in mm at the ED50 value was measured and converted into the area of inhibition, mm2. ED50 is the effective dose concentration of the sample required to kill 50% of the pathogen growth 29. Initially, a Random Check of the microorganism potency against standard antibiotic Nystatin and Ampicillin was investigated and are presented in Table 1. Also, to check whether solvents had any effect on antimicrobial activity, another experiment was conducted. Negligible zone of inhibition (< 5mm) was observed. 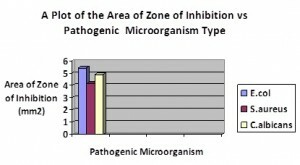 Thus, the area of zone of inhibition observed was due to compound (2) antimicrobial properties rather than to a solvent effect. Ampicillin and Nystatin were used as the reference (positive control) for bacterial (S. aureus and E. coli) and fungal species (C. albicans) respectively. E. coli produces a larger zone of inhibition compared with S. aureus. The above results indicate that for both methods, the susceptibility of the microorganism to a solution of compound (2) followed the sequence: S. aureus > C. albicans > E. coli. This trend is opposite to our previously published paper, showing that the metal does modulate antimicrobial selectivity of a complex 15. For example, for the Poison plate method, at an ED50 value of 2.63 mm and 2.7 mm, area of zone of inhibition of 5.43 mm2 and 5.72 mm2 were obtained for S.aureus and C. albicans respectively. In comparison, the Well-Diffusion assay at an ED50 value of 2.86mm and 2.7 mm, induces area of zone of inhibition of 6.47 mm2 and 5.72 mm2 against S.aureus and C. albicans respectively. Thus, both methods support the antimicrobial susceptibility selectivity trend mentioned above. For comparison purposes, compound (2) antimicrobial potency has been found to be greater than that for standard antibiotics Nystatin and Ampicillin against S. aureus and C. albicans but less than against E. coli. CONCLUSION: In conclusion, based on the above results, future work should target the syntheses of compounds incorporating the 2, 2-bipyridinedichloro platinum (II) unit as an important moiety of the synthetic skeleton of antimicrobil drugs since antimicrobial selectivity and potency greater than that against standard antibiotics have been achieved. ACKNOWLEDGEMENTS: We thank the University of Guyana, Berbice Campus for the use of the microbiology laboratory. Wilms LR: Guide to Drugs in Canada, 3rd edition, Leo Paper Products; 2009; 15. Smith CM and Reynard AM: Textbook of Pharmacology, W.B.Saunders company, 96-1174, (1992). 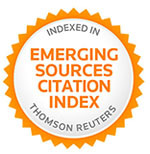 Wood A: Topics in Drug design and discovery, Annual reports in medicinal Chemistry, Elsevier Inc. 41, 353-409, (2008). Bonner J: Filling the Antibiotic Gap, Chemistry World, Royal Society of Chemistry, 2009; 6 (8), 16. Kandil O, Redwan NM, Hassan AB, Amer AMM and El-Banna, HA: Extracts and fractions of Thymus capitatus exhibit antimicrobial activities. Journal of Ethnopharmacology 1994; 44: 19-24. Barre JT, Bowden BF, Coll JC, Jesus J, Fuente VE, Janairo GC and Ragasa CY: A bioactive triterpene from Lantana camara. Phytochemistry.,1997; 45: 321-324. Batista O, Duarte A, Nascimento J and Simones MF: Structure and antimicrobial activity of diterpenes from the roots of Plectranthus heranthus, J. Nat. Products 1994; 57: 858-861. Rojas A, Hernandez L, Pereda-Miranda R and Mata R: Screening for antimicrobial activity of crude drug extracts and pure natural products from Mexican medicinal plants. J. Ethnopharmacology 1992; 35: 275-283. Silva O, Duarte A, Cabrita J, Pimentel M, Diniz A and Gomes E: Antimicrobial activity of Guinea-Bissau traditional remedies. J. Ethnopharmacology 1996; 50: 55-59. Jagessar RC, Mohamed A and Gomathinayagam S: An evaluation of the antibacterial and antifungal activity of leaf extracts of Momordica Charantia against Candida albicans, Staphylococcus aureus and Eschericia Coli. Nature and Science 2008; 6(1): 1-14. Anthonysamy A, Balasubramananian S, Shammagaiah V and Mathivanan N: Synthesis, Characterisation and Electrochemistry of 4’- functionalized 2,2’: 6’, 2”- terpyridine ruthenium (ii) complexes and their biological activity, Dalton Trans 2008; 5, 2136-2143. Gaballa AS, Asker MMS, Barakat AS and Teleb SM 2007. “Synthesis, characterization and biological activity of some platinum (II) complexes with Schiff bases derived from salicylaldehyde, 2-furaldehyde and phenylenediamine”. Acta part A: Mol. Biomol. Spectroscopy 67: 114-121. Markowitz JFR: Thiopurines in inflammatory Bowel disease efficacy, Disord 2003, 3, 23. Dubinsky MC, Hassard PV, Seidman EG, Kam LY, Abreu MT, Targan SR and Vasiliauskas EA. An open-label pilot study using thioguanine as a therapeutic alternative in Crohn's disease patients resistant to 6-mercaptopurine therapy, Inflammatory Bowel Disease 2001; 7 (3): 181-189. Jagessar RC and Gomathinayagam S: Antimicrobial Activity of Benzene Ruthenium (ii) Chloride Dimer, JPCS, 2012; 4 ( ), 1-6. How to cite this article:Jagessar RC and Gomathinayagam S: Antimicrobial Activity of 2, 2-Bipyridinedichloroplatinum (II), C10H8CL2N2Pt. Int J Pharm Sci Res. 3(12); 4725-4729. Special Issue: Macro and Supramolecular Architectures and Materials 2010; 287 (1), 69–79. Reddy V, Patil N and Angadi SD: Synthesis, Characterisation and Antimicrobial Activity of Cu (II), Co (ii) and Ni (ii) complexes with O, N and S. Donor Ligands, E.J. Chem 2008; 5 (3), 577-583. Shriodar SG, Mane PS and Chondhekar TK: Synthesis and Fungistatic studies of Mn (ii), Co (ii), Ni (ii) and Cu (ii) with some heterocyclic Schiff base ligands Indian J. Chem., 2001; 40A, 1114-1117. Yilmaz VT, Yazicilar TK, Cesur H, Ozkanca R and Maras FZ: Metal complexes of phenylpiperazine-based dithiocarbamate ligands. Synthesis, characterization, spectroscopic, thermal and antimicrobial activity studies. Synth React Inorg Met-Org Chem 2003; 33, 589-605. Kumar L. Neutral mixed-ligand complexes of 2,2′-bipyridinedichloroplatinum(II) with dianionic aromatic chelating ligands as potential photosensitizers. Inorg Chim Acta 1984; 86 (3), 173-178. Kumar L, Kandasamy NR and Srivastava TS. Synthesis and spectroscopic studies of potential antiviral [Pt(2,2′-bipyridyl)(amino acid)] Cl complexes, Inorg Chim Acta 1983; 78, 151-151. Jagessar RC, Gomathinayagam S: Antimicrobial activity of amide, N4-benzoylcytosine, Journal of Pharmacy and Clinical Sciences 2011; 1: 12-19. Jagessar RC, Gomathinayagam S, Balasubramanian N, Shanmugaiah V and Manoharan PT: Synthesis of unsaturated carbonyl compounds and their effect on Antifungal and Antibacterial activity, Journal of Pure and Applied Microbiology 2009; 3(2), p. 415-420. Jagessar, RC and Gomathinayagam S: Antifungal vs. antibacterial activity of unsaturated carbonyl compound, Journal of Pure and Applied Microbiology 2010, 4(1), 63-68. Jagessar RC and Gomathinayagam S: “Mesoporphyrin (ix) dihydrochloride as a Non Selective Antimicrobial agent, Journal of Pure and Applied Microbiology 2010; 4(2), 507-512. Jagessar RC and Gomathinayagam S: Selective antimicrobial activity of 5, 10, 15, 20- meso-tetrakis pentafluorophenyl 21H, 23H- porphine, Journal of Pure and Applied Microbiology 2010; 4(1), 41-46. Jagessar RC and Gomathinayagam S: Antifungal antibacterial activity of -unsaturated carbonyl compound, Journal of Pure and Applied Microbiology 2010; 4(1), 63-68. Jagessar RC and Rampersaud D: Amides as antimicrobial agents. 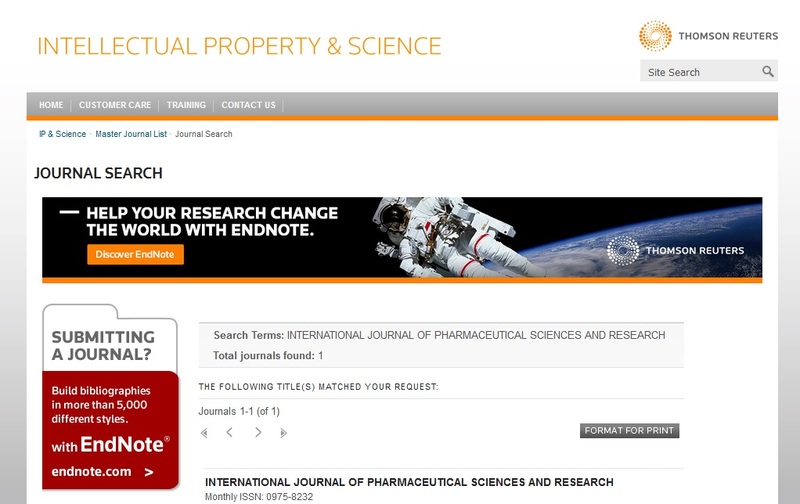 Life Science Journal 2007; 4(4), 46-49. Huang HC and Hoes JA: Penetration and infection of Sclerotrinia sclerotiovum by covinilkuvum minitans. Canada Journal. Botany 1976; 54, 406-410. Murray PR, Baron EJ, Pfaller MA Tenover FC and Yolke RH. Manual of Clinical Microbiology, Mosby Year Book, London, 6th edition 1995. Emsley J: The Elements”, Oxford, University Press, 1st edition, 1989. Daintith J: The Facts On File Dictionary of Inorganic Chemistry, Marker House Books Ltd, 2004; 177. Wright PA, Bell DA and Bolton EJ: lancet 1979, 346, 574. Jagessar RC, Mars A and Gomes G: Leaf extract of Smilax schomburgkiana exhibit selective antimicrobial properties against pathogenic microorganisms. Life Science Journal 2009; 6(1): 76-83. Jagessar RC, Mohamed A and Gomathinayagam S: Antibacterial and antifungal activity of leaf extracts of Luffa operculata, vs Peltophorum Pterocarpum, against Candida albicans, Staphylococcus aureus and Escherichia coli. Nature and Science 2007; 5(4), 81-93. Jagessar, RC and Mohamed N: Antimicrobial activity of selected plants extracts from Guyana’s flora, Journal of Pure and Applied Microbiology 2010; 4(2): 533-540. Jagessar RC and Gomathinayagam S: Antimicrobial Activity of 2, 2-Bipyridinedichloroplatinum (II), C10H8CL2N2Pt. Int J Pharm Sci Res. 3(12); 4725-4729.